is elated to Celebrate the Life of this Canadian woman leader drawing from her personal experiences, she spoke about the power to end the discrimination that people with mental illness and addictions face everyday. Dr. Catherine Zahn joined CAMH as President and Chief Executive Officer in December, 2009. Dr. Zahn stepped into this position at a critical time for the organization. The Centre for Addiction and Mental Health (CAMH) is Canada’s largest mental health and addiction teaching hospital, and one of the world’s leading research centres in its field. CAMH combines clinical care, research, education, policy development and health promotion to help transform the lives of people affected by mental health and addiction issues. CAMH is fully affiliated with the University of Toronto, and is a Pan American Health Organization/World Health Organization Collaborating Centre. For more information, please visit www.camh.ca. CAMH’s bold transformation agenda includes its ambitious redevelopment project, integration and enhancement of clinical programs, expansion of research and innovation capacity, continuing public education and social advocacy to ‘challenge the stigma attached to mental illness/addictions‘. Prior to this appointment, Dr. Zahn was Executive Vice President, Clinical Programs and Practice, at the University Health Network (UHN). 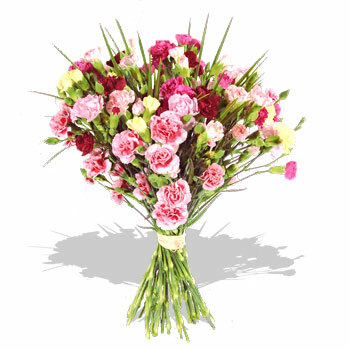 She held senior leadership roles in that organization for 12 years. Previous UHN positions included Vice President and COO of Toronto Western Hospital (TWH), Program Medical Director for Neuroscience and Division Head for Neurology. She was the inaugural chair holder for the Krembil Family Chair in Neurology. Dr. Zahn’s reputation for hospital integration and her leadership of the renaissance of the TWH make her well equipped to lead CAMH during this pivotal time. An honors graduate of the Faculty of Medicine at the University of Toronto (U of T), Dr. Zahn completed her residency training in neurology at U of T. Dr. Zahn is a Fellow of the Royal College of Physicians and Surgeons of Canada and a Professor in the U of T Faculty of Medicine. She is a Fellow of the American Academy of Neurology and is internationally recognized for her contributions to neurologic education and to standards of practice in neurology. Dr. Zahn earned a Masters in Health Science Degree in Health Administration at U of T and has made numerous contributions to health care in Ontario through leadership in technology assessment, chronic disease management and stroke care coordination. In 2009, Dr Zahn received the U of T Faculty of Health Policy, Management and Evaluation prize for Innovation and was recognized by the Women’s Executive Network as one of Canada’s 100 most powerful women in the professional category. 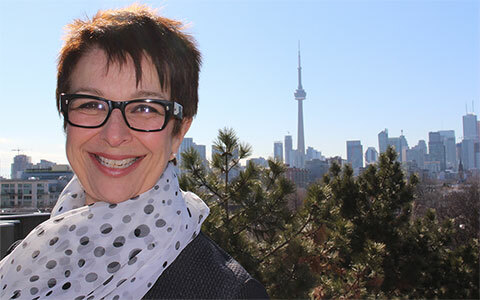 Catherine Zahn, president and CEO of the Toronto-based Centre for Addiction and Mental Health (CAMH), has been named 2011′s Communicator of the Year by the Toronto chapter of the International Association of Business Communicators (IABC). The award is given to a leader who demonstrates a strong commitment to strategic communication. MacAfee said she was impressed by Zahn’s ability to present a complex message – breaking the stigma surrounding mental illness – in easy-to-understand and consistent ways regardless of her audience. IABC Toronto was also impressed with Zahn’s general approachability. At work, the nameplate on her desk reads only “Catherine,” an attitude she carries to her blog entitled “Call Me Catherine.” Her skill as an engaging communicator has put her in high demand for media interviews, and her ‘town hall’ meetings are often standing-room-only events. The IABC has a global network of close to 14,000 communications professionals in 80 countries. With more than 1,750 members, IABC Toronto is the largest IABC chapter in the world. In 2012, she was named Communicator of the Year by the International Association of Business Communicators. 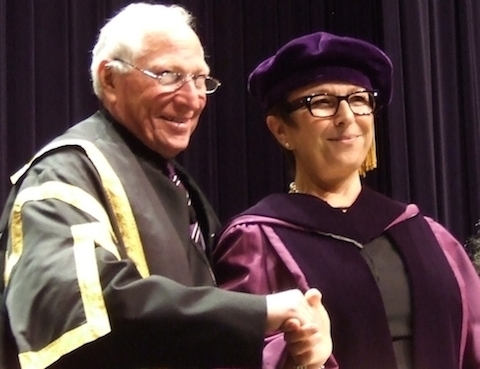 Recent honors include a Doctor of Laws, honoris causa from Western University, London, Ontario in June 2014 in recognition of her exceptional contributions to mental health care and neurology. In November 2014, Dr. Zahn was chosen out of an impressive pool of senior executives who have made, and are making a significant difference in their sectors for the cover of the Top 25 Women of Influence 2014 issue. ​In recognition of her exceptional contributions to mental health care and neurology, Dr. Catherine Zahn, President and CEO of the Centre for Addiction and Mental Health (CAMH) received an honorary degree from Western University during its 303rd Convocation ceremony in London, Ontario today. “Western is very pleased to honour Dr. Zahn for her important contributions in steering mental health into the mainstream of health care and into the public spotlight,” said Western University’s President and Vice-Chancellor Amit Chakma. “This honorary degree celebrates Catherine’s leadership as president of CAMH and as an internationally recognized scholar who has been a catalyst for system change in the fields of technology assessment, chronic disease management and her specialty, epilepsy,” said Chakma. 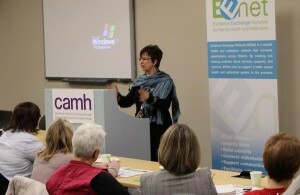 Dr. Zahn joined CAMH as President and CEO in December 2009 at a critical time for the organization. CAMH’s bold transformation agenda includes its ambitious redevelopment project, integration and enhancement of clinical programs, expansion of research and innovation capacity, and continuing public education and social advocacy to challenge the stigma attached to mental illness. Centre for Addiction and Mental Health (CAMH) President and Chief Executive Officer Catherine Zahn told graduates at the Wednesday, June 18 morning session of Western’s 303rd Convocation. At the convocation ceremony, Dr. Zahn shared leadership lessons gained through influential life and professional experiences, including the recent years at CAMH. “The people served by CAMH have schooled me in courage and compassion and complexity. They’re people of great worth who fight lonely, brave battles in their difficult walk through life,” she said. Prior to coming to CAMH, Dr. Zahn was Executive Vice President, Clinical Programs and Practice, at the University Health Network (UHN). She held senior leadership roles in that organization for 12 years. Previous UHN positions included Vice President and COO of Toronto Western Hospital, Program Medical Director for Neuroscience and Division Head for Neurology. She was also the inaugural chair holder for the Krembil Family Chair in Neurology. TEDxToronto is the largest TEDx conference for Toronto, Canada. In the spirit of ideas worth spreading, it brings together the city’s foremost thought leaders, change makers and everyday people from each discipline and challenges them to deliver powerful, unforgettable and unique TEDxTalks. Dr. Zahn continues to practice in her area of clinical and academic interest — epilepsy and Women with Epilepsy. 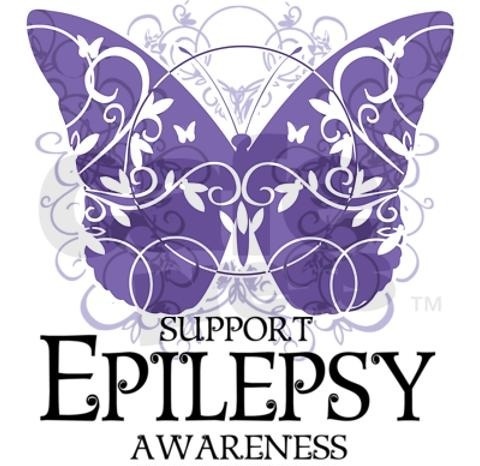 Epilepsy is a common neurologic condition in women of reproductive age. Although their risks are greater than those for women in the general population, the majority of women with epilepsy have a good pregnancy outcome. An understanding of the risks and appropriate management of both the pregnancy and epilepsy in these patients is essential for their physicians. Health-care providers should discuss contraception and reproductive issues with all of their female patients with epilepsy as they enter reproductive age. Optimal care requires prepregnancy counseling, including information about contraception, dietary folate supplementation, and the risks related to pregnancy. Although antiepileptic drugs (AEDs) have been implicated as the major cause of teratogenesis in infants born to mothers with epilepsy, uncontrolled epilepsy is also associated with maternal and fetal risk. 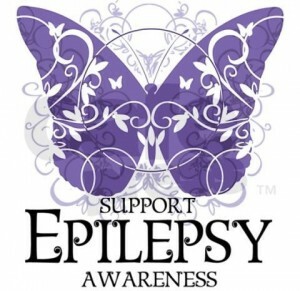 Therefore, optimal seizure control during pregnancy remains an important goal for women with epilepsy. Women with epilepsy should be counseled about breast-feeding their infants and supported in their decision. Dr. Catherine Zahn is the newest appointee to Upper Canada’s College’s Board of Governors. This incoming governor is the current president and chief executive officer of Toronto’s Centre for Addiction and Mental Health and a UCC past parent (Michael Zahn ’01 and William Zahn ’09). Zahn has been a driving force behind the transformation of Canada’s largest mental health and addiction teaching hospital, and one of the world’s leading research centres in the area of addiction and mental health. ‘challenge the stigma attached to mental illness and addictions‘. “Zahn’s appointment is a tremendous asset for the Board of Governors and, by extension, for the direction of the College and the boys’ experience,” says principal Jim Power. Zahn was previously executive vice-president of clinical programs and practice at the University Health Network, where she held various senior leadership roles for 12 years. She is a Fellow of the Royal College of Physicians and Surgeons of Canada and a professor at the University of Toronto’s faculty of medicine. “UCC is delighted to have Zahn on the Board and looks forward to working with her to achieve the College’s strategic objectives and outcomes moving forward,” says board chair Andy Burgess. 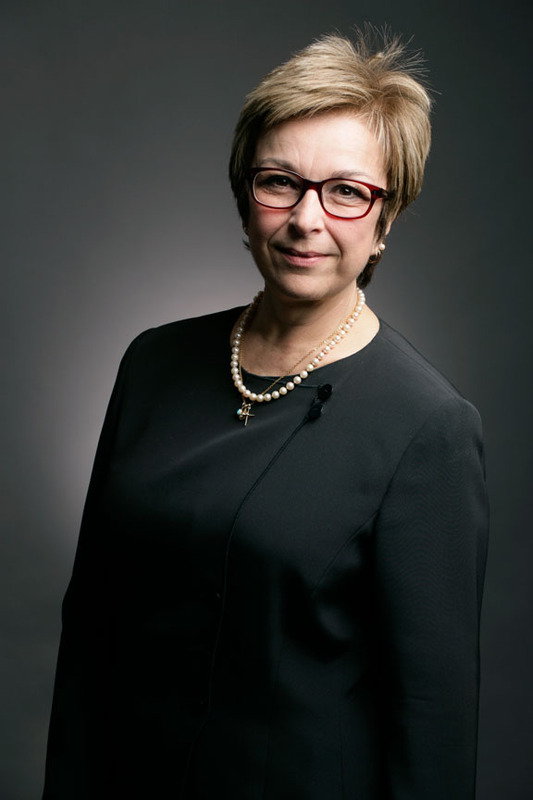 CAMH is proud to announce that Dr. Catherine Zahn, President and CEO, has been named as one of this year of 2014’s Top 25 Women of Influence™ by Women of Influence, Inc., North America’s leading organization dedicated to the advancement of women. This ranking celebrates and showcases the accomplishments of Canadian women who have achieved the highest levels of professional success and have made a significant difference in their field. Dr. Zahn, a leading neurologist and champion for mental health, was one of five women applauded for their contribution and influence in health care. Dr. Zahn will be profiled alongside fellow recipients in the winter issue of Women of Influence magazine, and from September 2 to September 15, CAMH is encouraging people to vote for Dr. Zahn as the woman they would like to see featured on the cover of this marquee issue. Called CAMH’s “nuanced crusader” by the Toronto Star, Dr. Zahn joined CAMH as President and CEO in December 2009 at a critical time for the organization. Since then, Dr. Zahn has led the way for CAMH’s visionary redevelopment project, driving social change from the heart of Toronto’s Queen Street West community. She has become a beacon of hope and optimism, working to broaden access to care and treatment, fostering breakthroughs in research and discovery, and challenging the stigma of mental illness through social advocacy. Dr. Zahn will be celebrated on December 4 at the Deloitte Women of Influence Luncheon at the Metro Toronto Convention Centre. Click here for a full list of this year’s Top 25 Women of Influence™. Celebrating its 20th anniversary this year, Women of Influence Inc. is North America’s leading organization dedicated to the advancement of women. It offers solutions to women through corporate consulting on Gender Intelligence, professional coaching, events, and media. It produces and hosts the renowned Deloitte Women of Influence Luncheon Series, RBC Canadian Women Entrepreneur Awards and the Top 25 Women of Influence, in addition to the publishing the Women of Influence quarterly magazine. Women of Influence has a community and reach of 120,000 in nine cities across North America including Vancouver, Calgary, Toronto, Waterloo, Ottawa, Montreal, Halifax, New York City, and Washington, DC. For more information, visit: www.womenofinfluence.ca. The Specialized Geriatric Addiction Services Community of Interest (COI) hosted the event, with support from the Evidence Exchange Network (EENet), at the Centre for Addiction and Mental Health (CAMH) Queen Street site. These workshops are intended to be the start of an ongoing process of specialized geriatric addictions training and education that will continue through webinars and other knowledge transfer and exchange opportunities. CAMH President and CEO Dr. Catherine Zahn (pictured right) started off the event with some opening remarks. She encouraged those in attendance to continue to advocate for this vulnerable population. Volunteering with CAMH will gives people an opportunity to get involved with the community, as well as increase their awareness and knowledge of mental health and addictions issues. Our volunteer force reflects the diversity of our community and draws on a wide range of skills and backgrounds. If you are interested in volunteering we would love to hear from you. Check out our website or contact Andrea Reynolds at: Andrea_Reynolds@camh.net or 416-535-8501 x 33074. If you live outside of the Toronto area and are interested in volunteering with a Mental Health or Addiction Centre: Click Here. welcomes this powerhouse into our global alumni with open arms, looking forward to future collaborations, bettering the lives of all women, focusing on the challenge of removing Stigma from the Mental Health sector.